I would never recommend buying a grill just because it turns heads. There are plenty of leaky, budget smokers that look cool but couldn’t maintain a steady temperature if your life depended on it. That’s where the Grilla comes in. 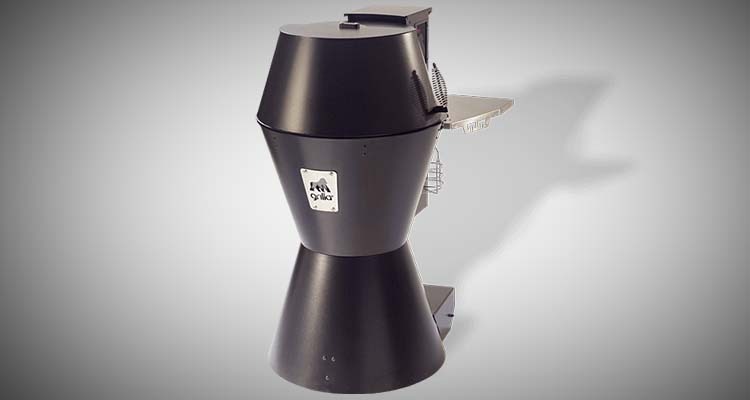 With it’s unique design and clever technology the Grilla wood pellet grill is fast becoming one of the best pellet grill choices for under $1,000. The Grilla promises great barbecue flavor with all of the set and forget features you would expect from a pellet grill including digital control system and automatic lighting. Who should buy the Grilla Pellet Grill? The flagship Grilla pellet grill shares it’s name with the company who manufacturers it. They also produce a more traditional style pellet grill called the Silverbac, and a Kamado style grill called the Kong. We’ll run through the main differences between the Grilla and the Silverbac later in the review. Grilla have been selling grills for a few years now, but they’ve shot up in popularity since they made the decision to drop the price to a much more competitive level. 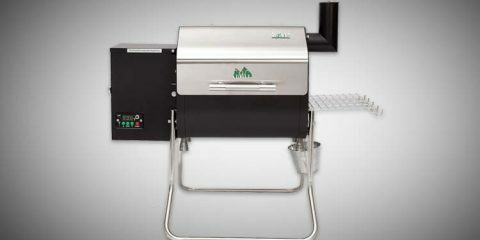 The Grilla pellet grill is falls into the medium sized category. You get a combined 488 square inches of cooking space made up of 346″ on the main grill area plus 142″ on an upper cooking area. 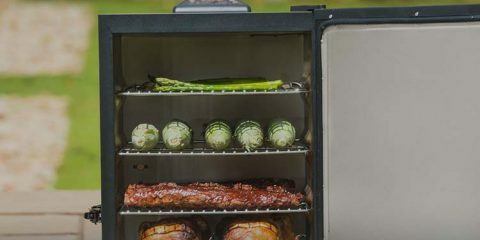 You can definitely get larger grills for your dollar (The Silverbac offers 692″ for a slightly cheaper price), but I think it the medium footprint is a smart bet for most people. Grilla more than makes up for it’s size when it comes to excellent design and build quality. So unless you are cooking for an army, you get a much better designed smoker for your dollar. The 20lb hopper is also large for a smoker this size, which makes this perfect for those really long cooks. 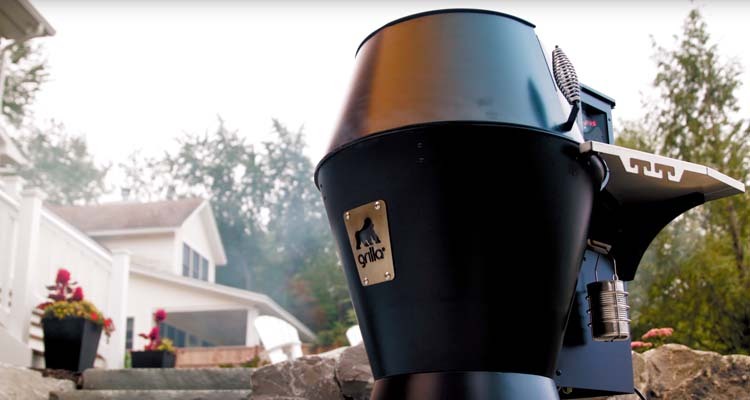 Check out this video from the manufacturer to see the Grilla in action. Outstanding build quality – The exterior is powder coated, and the grates are made from 1/4 inch stainless steel. The 5″ rubber wheels are excellent and allow this grill to be easily moved. Design has a premium feel – You can tell the manufacturers actually barbecue themselves. They’ve made this grill a delight to use. 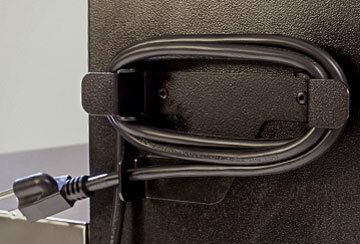 From the ‘keep heat swing lid’ that effortlessly slides open, to the easy cord storage. You’ve also got a clever gorilla shaped viewing port which is sure to impress and adds some ambient light for entertaining. Clever technology dials up the smoke flavor – It’s no secret pellet smokers can suffer from a bland, under smoked flavor. The Grilla ramps up the smoke by programming in a temperature swing. 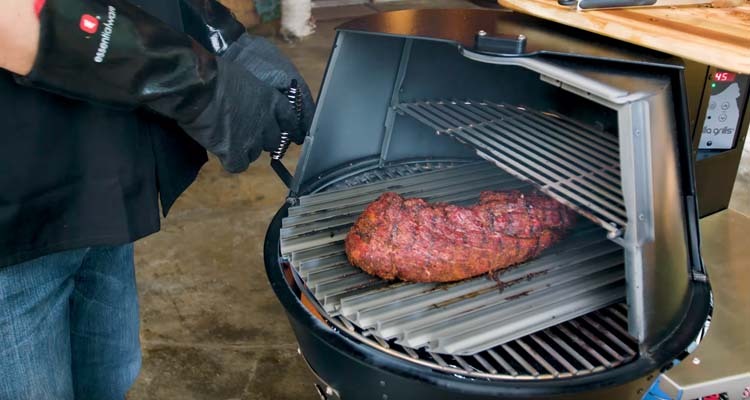 To keep the pellets burning and releasing smoke, the temp drops just enough to cause the auger to feed more pellets which gives your bbq a better smoke flavor. Generous 4 year warranty – Beats a lot of the competition, nice to see they’re putting their money where their mouth is. Limited space when cooking large items – While 488″ square inches of cooking space sounds like plenty, you might need to remove the upper 142″ grate when you are cooking larger items like large pork butts, turkeys etc. This limits you to the main 346″ cooking are. The Grilla is currently sold online only in order to keep prices down, but you can get free shipping when you order off the Grilla website (US only). Get the latest price from the Grilla website. While we’ve focused on this grills eye catching appearance, the design is actually all about producing a consistent heat and smoke level in the cooking chamber. The curved shape means there’s no corners where you normally get hot and cold spots. Even, consistent temperature is key when barbecuing, so by removing hot and cold spots you don’t have to worry about your food being cooked at different rates. There’s also the swinging lid that allows you to check on your food without loosing as much heat. It’s also nice to be able to open the grill without having to find somewhere to place a hot lid (and leaving greasy marks on your patio). The rubber wheels with foot operated brake allow you to easily move the Grilla around and then lock it in place. On the inside of the grill you’ve got a heavy-duty double wall 14 gauge steel liner. This acts as a thermal jacket and makes for more efficient cooking when the temperature drops. It’s normal for pellet consumption to really ramp up in cold conditions, so this is a great way to save you a bit of money and let you cook longer on a single load. On the note of pellet, it’s nice to see the manufacturer not pretending that you need to use their “special” pellets. 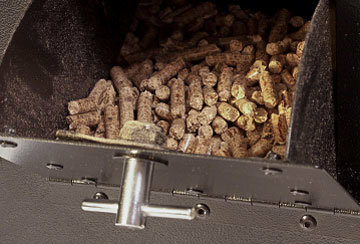 You can stock up on any bulk pellet brand. One of the first things you notice after opening the box it ships in is how easy this grill is to install. Everything ships already assembled. You just need to stand it up, remove some packaging and attach a few screws. The manufacturer recommends seasoning the grill to remove any oils that might be leftover. Fire it up to 450°F and after 45 minutes you’ll be ready to smoke. Actually using the Grilla couldn’t be easier. You have a digital thermostatic controller with a touch pad that is integrated to the meat probe. 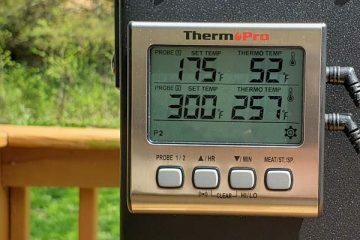 You can set your temperature between 180°F – 500°F in 5°F increments. 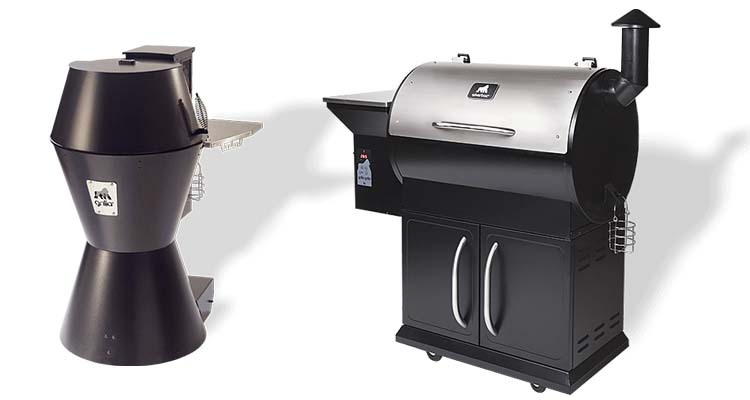 The most likely comparison you’ll want to make is between the two Grilla pellet grills. It’s a little bit strange that one company would sell two wood pellet grills at almost the same price point. The manufacturers seem to be aware of this as they’ve got a whole page on their website dedicated to answering this very question. The unique shape of the Grilla gives more convection air flow, leading to better color and penetration into the meat. The difference is small though. For these reasons, I would say the Grilla is the better option for most people. But if you like to cook a lot at once the Silverbac is still an impressive product. The Grilla is perfect for someone who likes to cook for small – medium groups of people, and doesn’t want to fuss around managing the fire. Even though it’s a medium grill, you should be able to fit 3 decent sized pork butts on at the same time, so it’s not like you can’t feed a crowd. Even though it’s called a grill, the max temp of 450°F means this isn’t ideal for searing. The company do sell their own custom Grill Grates though, which would be worth investing in. 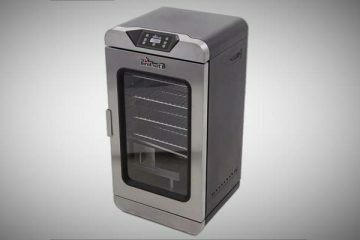 It really excels as a smoker / oven. You get excellent smoke flavor, and meat will develop a nice rich smoke ring that you don’t normally get on a pellet smoker. 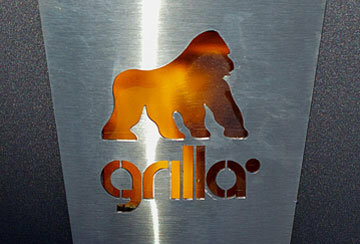 The Grilla is sold online only by the manufacturer. They offer free shipping on all their grills and all grills come with a 4 year warranty.